Woodland Creek’s new phase, Poirier Rise, is situated on a gentle ridge in the Woodland Creek community looking south towards the majestic Olympic Mountains and north towards the rolling Sooke Hills. This 20 lot cul-de-sac is connected by trails to adjacent schools and parks, and offers larger lots than previous single family phases. 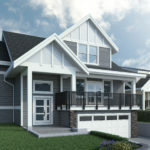 Enjoy new home plans that build on our tradition of quality construction and award winning customer service. Its been almost 10 years since Jordan River has seen the creation on new rural residential lots, but the wait is over with Totangi Properties’ limited release of 4 new 1 hectare (2.5 acre) lots. The new lots have been created on the north side of Timberline Way off Trailhead Drive. Known for the stunning views and and the incredible Westcoast lifestyle close to beaches, trails, surfing and fishing, Wildwood Terrace is home to many that have come to enjoy Jordan River, BC. 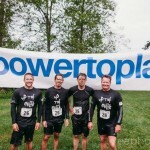 It’s that time of the year for Team ‘Up the Creek’ as we return to compete again in the crazy, muddy, and adventurous Power to Play Corporate Challenge to raise money for a great local organization helping youth and families in our community – Power to Be.